This selected hazelnut produces a large high quality nut with good flavor and texture. 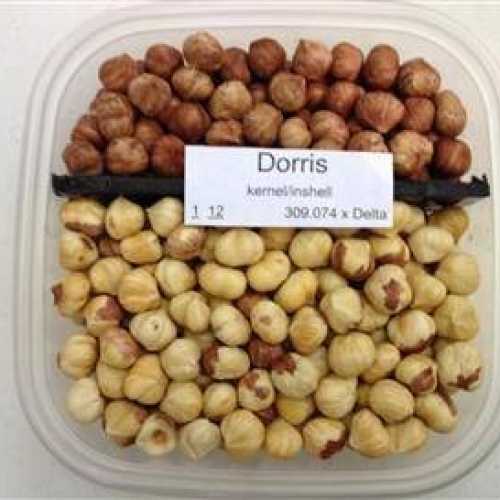 Its high yields along with few nut defects like shriveled kernels or blanks make an ideal home orchard selection. 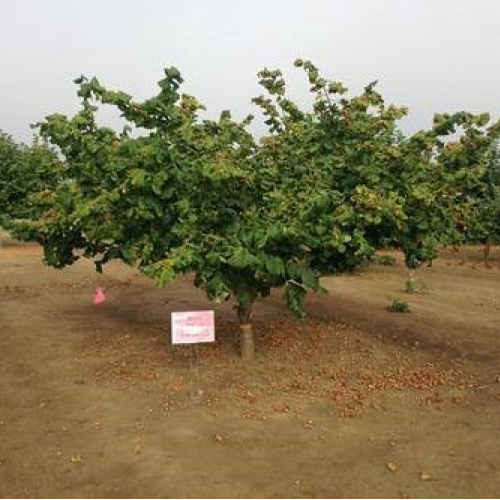 Dorris has complete resistance to bud mite which destroys flowering and very high resistance to eastern filbert blight with only a few cases of small cankers which do not injure the tree. Our plants are grown from cuttings for 2 or 3 years. Developed by Oregon State University. 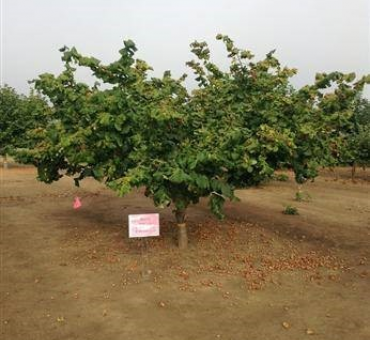 This variety along with others now offer hope of growing even commercial hazelnuts in the eastern United States. These cultivars will fruit in 2-3 years from planting. No shipping to WA, OR. Sandy loam, slightly acidic but not alkaline soils. Adaptable to most soils and climates. A universal nut tree and a good varietal selection.